Wixom, MI. – March 25, 2017 Further expanding its portfolio of products, Axsys Dental Solutions, a leading supplier of digital dental manufacturing solutions, has entered into a distribution agreement withone of the worlds largest manufacturers of dental restoration materials to provide its axZir brand of high-translucency dental zirconia discs. AxZir Zirconia discs are partially sintered 3mol% yttria (Y2O3) stabilized zirconia (ZrO2) blanks, which are made from zirconia ceramic powder by cold isostatic pressing and machining process. AxZir zirconia discs are more homogeneous than uniaxial pressed products. AxZir discs can be used to machine dental restorations by a wide variety of CNC or manual milling systems. Applications include both anterior and posterior single tooth or bridge restorations. Steve Braykovich, President of Axsys Incorporated stated, “We are very happy to partner with such a dynamic quality-driven company to supply our axZir line of zirconia and zirconia coloring liquids. The addition of the AxZir product line enables us to provide more complete and predictable solutions to our customers”. Braykovich added. 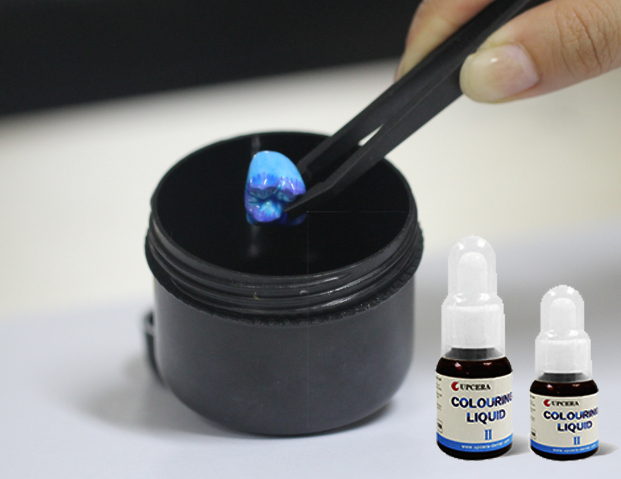 The source of our AxZir dental zirconia is a high-tech company, specializing in developing and manufacturing zirconia blanks, glass-ceramic block sand coloring liquids. With specialty products and a professional team, AxZir can provide clinicians, laboratories and milling centers with high-quality, customized solutions. The company focus is on developing the AxZir brand of new dental materials, such as resins, glazes and wax, to address the higher-quality demands of dental professionals. With rapid development, our supplier has established a professional brand image and a top reputation throughout the entire dental world. Currently, they have over 48% market share of dental zirconia in China, and its products are marketed in more than 60 countries around the world. The company's Research and Development Center attaches great importance to developing advanced dental restorative materials and innovative solutions. Upcera holds over 20 patents, which servers as a testament to the ability of its professional team to meet the various demands of the dental industry.